In this article we will discuss about Difference between contribution of Henry Fayol’s and F.W.Taylor in management Principles with its comparison. F.W.Taylor was born in 1856 and in 1878 he joined Midval steel company as an mechanical engineer. His principles and methods are based on observation of various factories. He becomes a famous Father of scientific management. He publishes Shop management, and Principle of scientific management. Difference between Henry Fayol’s and F.W.Taylor in management Principles with its comparison. Concern The Techniques and principles of Taylor are concerned with efficiency of workers. 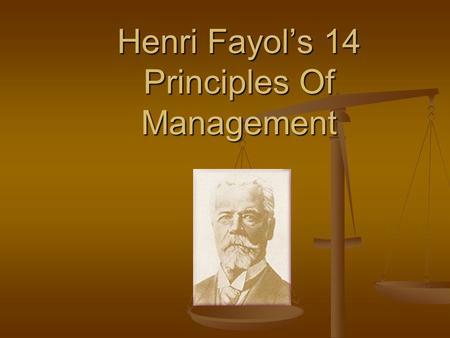 The principles of Henry Fayol concerned with management efficiency. Main Focus He mainly focus on wasteful movements and saving energy of workers He mainly focus on improvement of overall station achievement. Unity of command He didn’t follow this principle He strictly follow unity of command and said only one boss for one employee. Expression Techniques are expressed as scientific management Techniques are generally expressed as administration theory. Applicability Taylor principles are Applicable to specialized situation Fayol principles are Applicable universally. So we will discuss about Difference between contribution of Henry Fayol’s and F.W.Taylor in management Principles with its comparison.